Logan Airport’s Terminal E may be the happiest place in Boston. 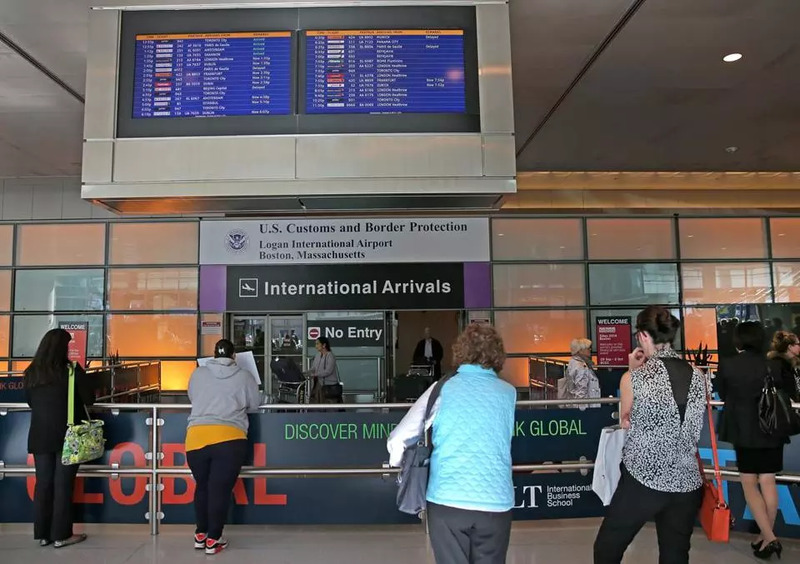 It is where passengers of international flights arrive and where hundreds of people each hour walk through sliding glass doors to greet awaiting friends and family. We were there on Monday night, standing behind the half-wall separating the weary world-travelers from the waiting masses. My wife and I were hoping to gain our first glimpse of our daughter in the last three months, who had spent that time in Europe studying abroad. We saw impeccably clad flight attendants and uniformed flights crews, as well as men and women with heavily laden baggage carts. Then, finally, we saw the familiar face that we had come see. Our little girl was home. While she was away, we spoke with our daughter via FaceTime, a marvelous app that allows Apple© users to video chat. Those weekly conversations were wonderful, and I praise God that she studied abroad in such a technologically advanced time in human history, but they were not the real thing. There is a vast difference between seeing someone on a 2½” x 4” screen and seeing them face-to-face, just as there was a difference for those of previous generations between reading someone’s words in a letter and hearing that same person’s voice. There is nothing quite like the real thing. I can only imagine that this same sentiment was felt by Mary, the sister of Lazarus. Jesus was passing through the town of Bethany on his way toward Jerusalem – it was the day before what we now call Palm Sunday – and a dinner was held in his honor. Martha was cooking, Lazarus was sitting with friends and Mary suddenly appears in the midst of the group and pours perfume on Jesus’ feet. It was an act of extravagant devotion. After a moment of uproar over the resources wasted by Mary, Jesus silences the party guests with the words, “You will not always have me (among you).” Mary appreciated that Jesus had come ‘home’, and the only suitable means of expressing that joy was to perform some lavish gesture. For us, it was getting our younger boys out of the house and enduring rush hour traffic to greet our princess; for others, it was balloons or handmade signs or flowers. That week that began with an expression of joy for sharing in His presence would end the following Sunday with an expression of love that now and forever serves as a guarantee that all those who trust in Christ will see Him again. Some great and glorious day there will be a reunion, a parting of the skies that will reunite the risen Lord with those He came to redeem, that will rival even the embraces experienced at Terminal E. The greatest of blessings afforded us through Easter is that, though Jesus has gone away, he will come back. We will see Him again. Hallelujah! Occasionally, I wrestle with a topic to write about in this weekly blog; this was one of those weeks. As a number of themes turned in my mind, I prayed that God would help me in my efforts to formulate a concise and meaningful reflection worthy of posting. Ironically, my attentions were drawn over and over again to prayer: as I discussed with other pastors a biography we read on J. Hudson Taylor, the conversation was about prayer; as I led the Lenten study on Matthew 26, the scriptures addressed prayer; when I put a 2006 Veggie Tales DVD into the player for the kids I watched as their moms attended the Women’s Bible Study, “Gideon: Tuba Warrior”, we unexpectedly watched a vignette about George Mueller (who was a champion of prayer). Hudson Taylor was the founder of China Inland Mission, which brought the gospel to the Chinese, through ‘faith missions’ (the sending of missionaries with no promises of temporal support, but instead a reliance ‘through prayer to move [people] by God’), serving eastern Asia from 1854 – 1905. He utterly relied on prayer for his provision and direction throughout his life. As we discussed the life and faith of this great follower of Christ, a few of us were transparent enough to voice our regret that our prayer lives were, in comparison, woefully lacking in fervor and faithfulness. Hudson’s contemporary George Mueller built and directed numerous orphanages in Bristol, England while never making a single request for financial support; he remained debt-free as he relied solely on concerted prayer for God’s provision. The above-mentioned verses report part of what took place in the garden of Gethsemane hours before Jesus was arrested. Jesus and his disciples had just concluded their commemoration of the Passover and had gone to this place just outside the city to pray. Unlike other times, when Jesus went to a solitary place, on this occasion he asks his three closest friends to stay and keep watch – to pray – with him. At the time of deepest sorrow, our Lord prayed with others. Our savior’s last act of human volition was to conduct a prayer meeting with his companions. I cannot help but ask myself if I would do the same thing. It all makes me wonder: do we pray better when we pray together? Are we all a bit more like Moses than we care to admit, that we simply cannot keep our hands raised in prayer and intercession without the help of others (see Exodus 17:8-16)? Are we willing to learn from Jesus the lesson that we are better able to accomplish God’s will when we ‘keep watch’ together? I am not, in my own strength alone, able to pray as I should. Perhaps we could get together, say on a Wednesday night, and hold up one another in prayer.